It seems Quentin Tarantino and the Weinstein Company have a great Christmas present for us, ’cause this trailer looks great. Set in the South two years before the Civil War, DJANGO UNCHAINED stars Academy Award-winner Jamie Foxx as Django, a slave whose brutal history with his former owners lands him face-to-face with German-born bounty hunter Dr. King Schultz (Academy Award-winner Christoph Waltz). Schultz is on the trail of the murderous Brittle brothers, and only Django can lead him to his bounty. The unorthodox Schultz acquires Django with a promise to free him upon the capture of the Brittles – dead or alive. Success leads Schultz to free Django, though the two men choose not to go their separate ways. Instead, Schultz seeks out the South’s most wanted criminals with Django by his side. Honing vital hunting skills, Django remains focused on one goal: finding and rescuing Broomhilda (Kerry Washington), the wife he lost to the slave trade long ago. Django and Schultz’s search ultimately leads them to Calvin Candie (Academy Award-nominee Leonardo DiCaprio), the proprietor of “Candyland,” an infamous plantation. Exploring the compound under false pretenses, Django and Schultz arouse the suspicion of Stephen (Academy Award-nominee Samuel L. Jackson), Candie’s trusted house slave. Their moves are marked, and a treacherous organization closes in on them. If Django and Schultz are to escape with Broomhilda, they must choose between independence and solidarity, between sacrifice and survival. Django Unchained hits theaters this Christmas. 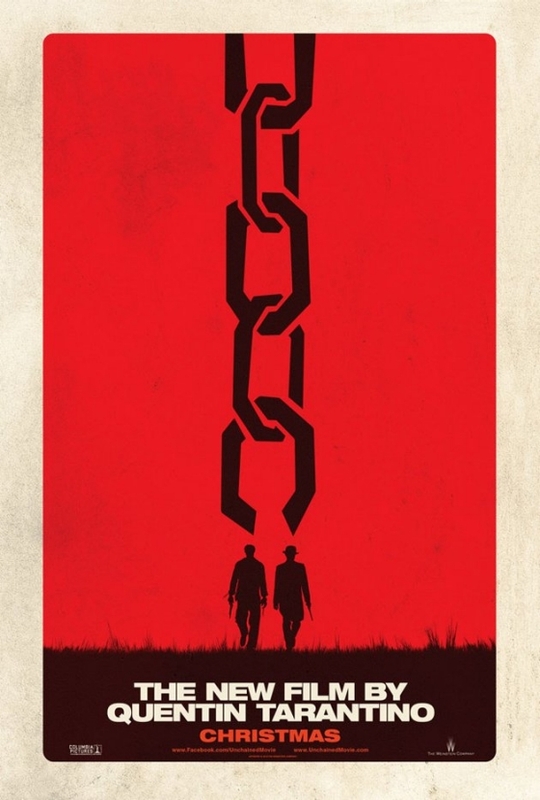 There are currently 3 Comments on Here’s Another Trailer For “Django Unchained”. Perhaps you would like to add one of your own?